Sabretooth is a fictional character, a supervillain appearing in American comic books published by Marvel Comics, most commonly in association with the X-Men, in particular as an enemy of Wolverine. 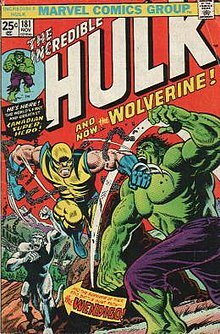 Created by writer Chris Claremont and artist/co-writer John Byrne, the character first appeared in Iron Fist #14. Sabretooth was originally portrayed as a non-powered serial killer but was later written as a mutant possessing bestial superhuman abilities, most notably a rapid healing factor, razor-sharp fangs and claws, and superhuman senses. He is a vicious assassin, responsible for numerous deaths both as a paid mercenary and for his personal pleasure. Avalanche the name of two fictional characters appearing in American comic books published by Marvel Comics. Each character is usually depicted as an enemy of the X-Men. Lady Deathstrike, occasionally spelled "Deathstryke," is a fictional supervillain appearing in American comic books published by Marvel Comics. She is a foe of the X-Men, especially Wolverine. 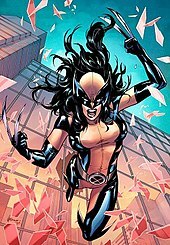 Laura Kinney, originally known as X-23 and later the second known Wolverine, is a fictional superhero appearing in American comic books published by Marvel Comics, most commonly in association with the X-Men. 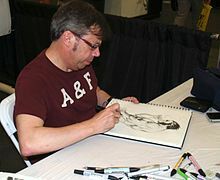 The character was originally created by writer Craig Kyle for the X-Men: Evolution television series in 2003, before debuting in the NYX comic series in 2004. Since then she has headlined two six-issue miniseries written by Kyle and Christopher Yost, a one-shot and self-titled series written by Marjorie Liu, and All-New Wolverine by Tom Taylor. Chimera is a fictional mutant character appearing in American comic books published by Marvel Comics. 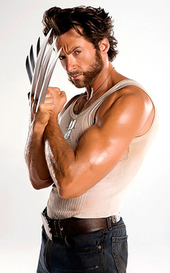 Daken is a fictional supervillain appearing in American comic books published by Marvel Comics. 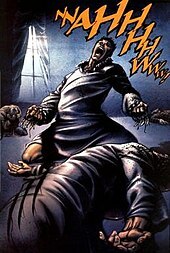 Daken was created by writer Daniel Way and artist Steve Dillon and first appeared in Wolverine: Origins #10. "Death of Wolverine" is a 2014 comic book storyline published by Marvel Comics. 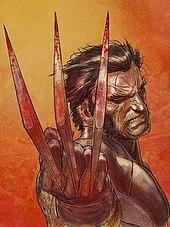 The story has grown from both volume 5 and volume 6 of the Wolverine main series.